"Project Infinity" is the first project of mine I will be talking about. This project is not final, but I want to talk about some drafted information. 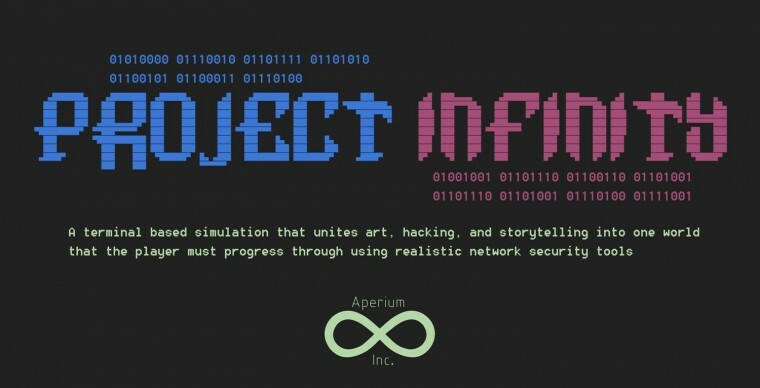 Project Infinity is a terminal-based simulation that unites art, hacking, and storytelling into one world that the player must progress through using realistic network security tools. This project is my Student Innovation Project that turns a story into a hackable adventure using two tools, NMAP and MetaSploit, to navigate the network within the game.